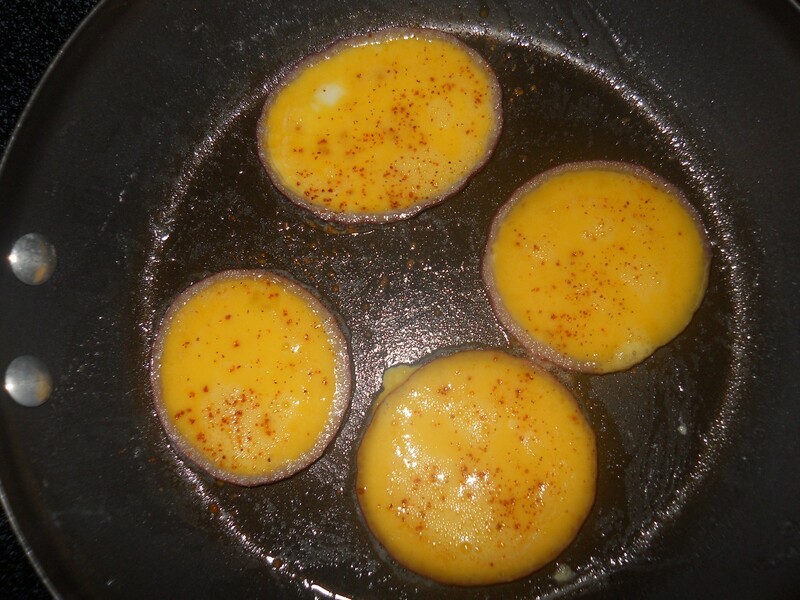 Sunnyside up eggs are sometimes prepared inside of a bell pepper slice, making for an attractive, tasty dish. 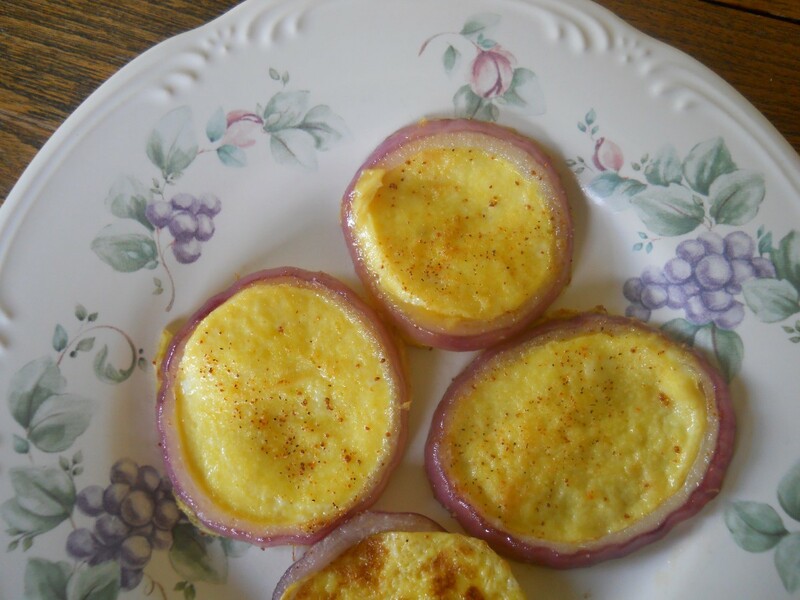 Using a slice of a red onion you can create a similar serving idea for scrambled eggs. Top with a favorite seasoning and serve. This is a guide about making scrambled eggs in an onion ring. 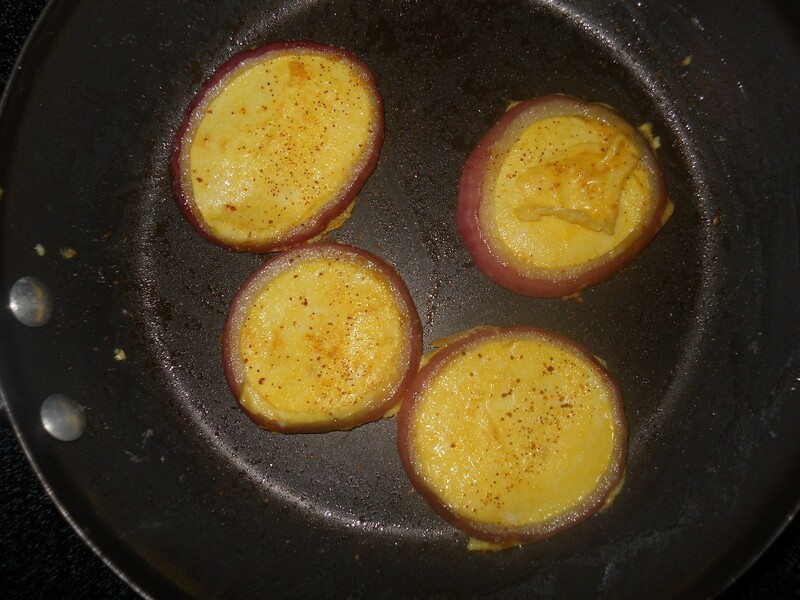 I saw a photo on Pinterest of sunnyside up eggs prepared in bell pepper slices. They looked delicious. I decided to try making a similar dish using red onion slices with scrambled eggs inside. Slice onion, I made these a bit too thin. 3/4 inch would be best. Scramble two eggs in a bowl, add salt and pepper to taste. Spray a skillet with a bit of cooking oil spray. You may add a dab of butter if you like, for flavor. 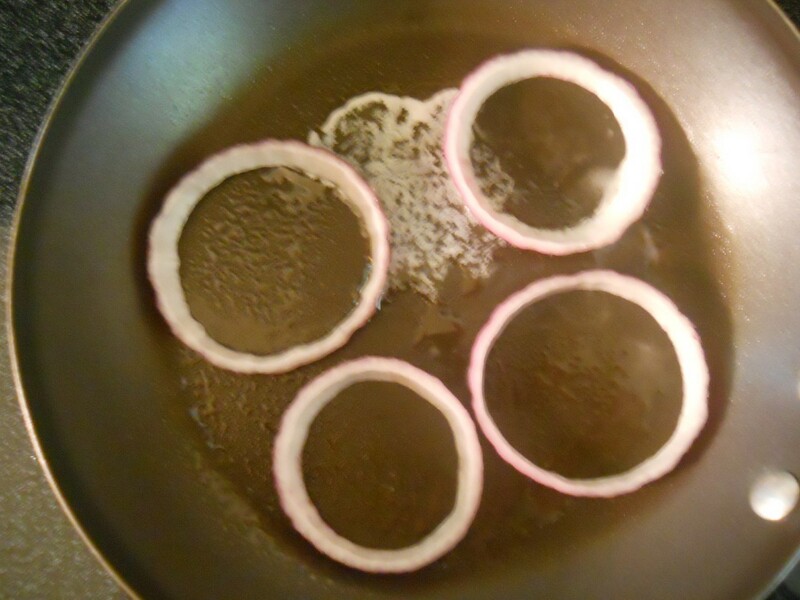 Cook the onion slices lightly on both sides until them begin to soften just a bit. Pour egg into the onion rings. Keep the egg from overfilling the rings. You may sprinkle some Tony's or other seasoning on now. Cook, on low to medium heat until the eggs begin to set. If you don't like your eggs brown, don't over cook on the down side. Flip them over and finish cooking. Enjoy with toast, cottage fries, fresh fruit, or a salad for a quick breakfast or light lunch.